At Best Buy Windows and Siding, we hire only the most consummate of professionals in the windows and siding industry. With over 100 years of combined experience, our team has a strong focus on customer service and quality workmanship. 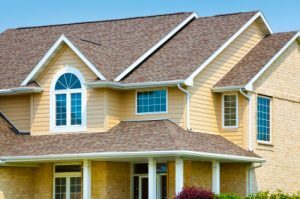 In fact, we have been servicing the North Texas region for over 30 years now, and in that time we have replaced many windows, designed custom patio covers, and repaired vinyl siding in Carrolton. We work directly with homeowners and businesses throughout the DFW area to ensure all needs are met promptly. When it comes to windows and vinyl siding in Carrolton, we only use the highest quality products and tools available to the industry. By offering expert advice and services, our knowledgeable technicians are capable of consulting each homeowner or business owner directly to determine how we can meet your needs. Whether you seek higher energy efficiency in the home or improved insulation in the office with vinyl siding in Carrolton, we will fulfill your expectations. After we discuss your needs, our technicians will offer a comprehensive quote for our windows replacement in Carrolton with various recommendations to better help you. You will never be in the dark about what we’re doing or how much it will cost, as our prices are upfront and without any hidden fees down the line. Once just a small farming community, the coming of the railroad through Texas followed later by the opening of Dallas-Fort Worth International Airport has fueled tremendous growth in Carrollton. Now a major suburb with lots of industrial divisions, Carrollton is home to nearly 123,000 residents. The city has twice been named on the list of Money Magazine’s 100 Best Places to Live in the United States (19th in 2006 and 15th in 2008). For a completely free in-home consultation of our services, call Best Buy Windows and Siding today at 214-736-9971. Alternatively, you can sign up for one of our free window, siding, or patio Buyer’s Guides. When it comes to the best windows replacement in Carrolton, hire only the best!